Nowadays, a​pproximately 700 students attend our school and each year 78% of the school-leavers continue their studies at universities. Most of our students take part in a 4-year course between the ages of 14 and 18. The younger students with outstanding abilities can choose the 8-year course (class A), which begins at the age of 10. They get an insight into every discipline of STEM as well as Arts and Literature until they choose to specialize in the final two years. All the students learn two foreign languages, they can choose from English,​​ German, French, Italian, Spanish and Russian. We are proud of our students’ great success in both national and international competitions. Our alumni include Olympic gold medalist pentathlete Zsolt Németh, six times world champion kickboxer Rita Pesuth, prestigious cancer researcher Gábor Somlyai, designer of the first Hungarian satellite Masat-1 András Bükkfejes and many more great minds. Each class goes on a 2-day school trip in September. There is a funny competition the Fresmen every year. The organizer of the event is the winner of the previous year's competition. Christmas Party is organized in December. Students put on plays, dramas, comedies, and musicals, recite poems, sing songs in English. The youngest students perform a Nativity play on the last school day before Christmas. A ball is organized for the school-leavers. They get a special ribbon to be worn on their coats to show that they are preparing for the Matura and they perform a class dance. They invite their close family to enjoy this solemn evening with them. Parents and the old students can spend a pleasant evening at a ball organized especially for them. A 2-day event called Jedlik Days has been organized since 1979. People having successful careers give lectures to set a good example for the young generation. The Nations' Carnival is a similar event to the Christmas Party but the plays, dramas, comedies, musicals, poems and songs are performed in German, French, Italian, Spanish and Russian. The school-leavers' parade takes place in May. This is the day when they say good-bye to their school, the teachers and their schoolmates. The next Monday morning they start one of their greatest challenges: namely the Matura exams. In addition to the academic competitions, we have broadened our pursuits of excellence in media and journalism. The ambitious IceBear Project has been focusing on nurturing environmental awareness since 2015 both in and outside of school. 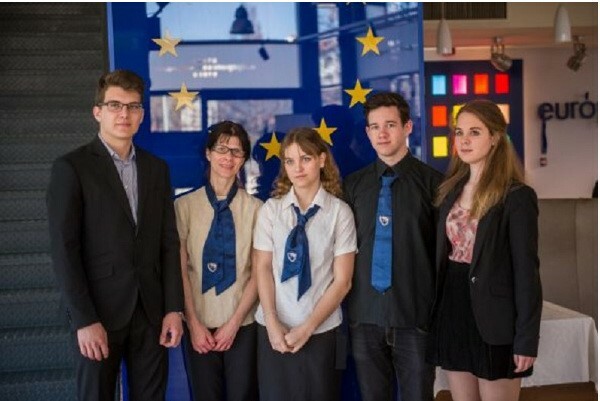 Our students have made a great impact and thanks to their diligent work they won gold in the Student Reporters Media Prize supported by the European Union. After spending three days in Amsterdam they came home with amazing experiences and the endeavor to continue their project. There has been a student exchange program with a high school in Hattingen, near Köln since 1984. 20 students spend 10 days in the other country ye​​ar by year; they stay with families so that they can get to know the teenagers, the culture of the other country. A Swedish high school from Stockholm has already visited us a few times. The students take a course studying Hungary and the visit here is part of their studies​. A high school in W​eston-Super-Mare, a beautiful seaside town near Bristol, is the partner school in another student exchange program. 10 students take part in the program from both countries and stay at each other’s families for a week. 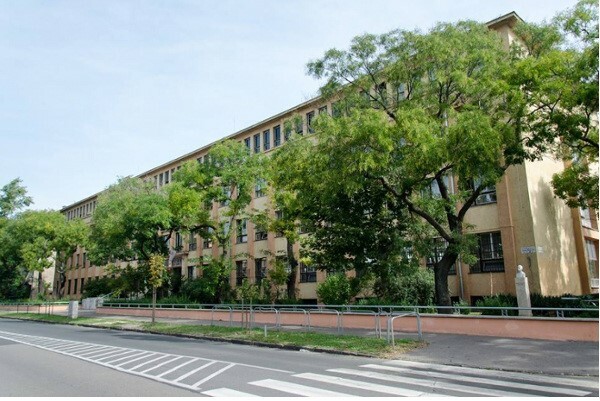 There was no secondary education in the vil​lage of Csepel before World War II and because of this all the students had to commute to Budapest to study. However, due to the constant bombing of the capital, the road and railway bridges were destroyed, and a great demand arose for a secondary grammar school in Csepel. A private school was first established and solved the​ problem of schooling for 4 months. During its short existence the foundation of a permanent secondary grammar school was decided. An 18-member parental committe​e was set up on 8 July 1945 with the aim of establishing the school. The committee asked the abbot of the Saint Benedict Holy Order of Pannonhalma to direct the school. 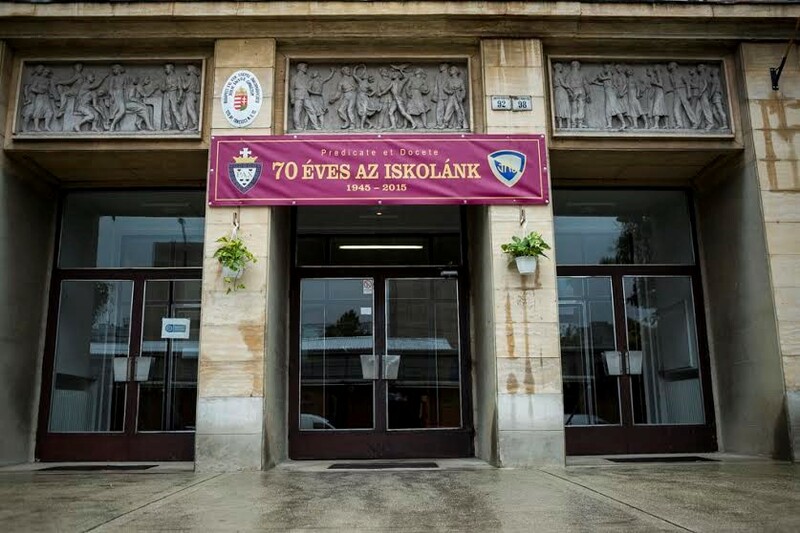 The representatives of the Benedictine Holy Order and the leaders of the village decided to organize a school with no fees, so the first school free of charge was founded in Hungary. The school was named after Ányos Jedlik, a Benedictine monk. He was born in 1800 and died in1895. His outstanding scientific career started when he joined the Saint Benedict Holy Order at the age of 17. He was a doctor of Mathematics, Physics, Philosophy and History. He invented the method of soda water production, he studied the electromagnetic waves and he is the inventor of the dynamo. The first school year was opened on 9 September 1945 and 242 students could start their secondary schooling in 5 classes. Hugo Valyi, a teacher and a Benedictine monk, became the first he​admaster. The new school building was op​ened on 9 March 1952.